This is why I saved those cranberries !!! I bought a lot of fresh cranberries when it was cheap. When home I was not sure what to do with the cute red gems. They were plenty. So i just kept the fresh berries in the freezer. And three months later I am making cranberry sauce. I got four-five 12 oz bags (i know that sounds a little crazy…) of cranberry. I use some half cups of them to make smoothies every now and then. But I am glad I saved them so that I can make cranberry sauce and preserve it. 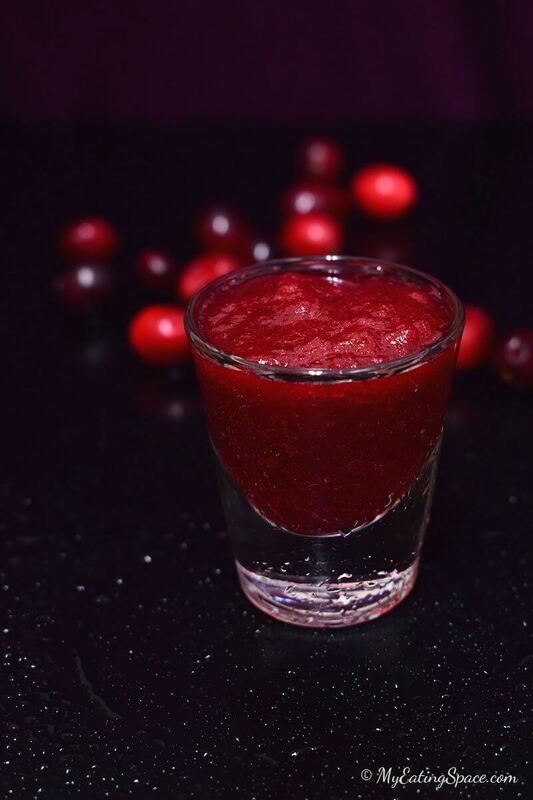 We are going to have cranberry relish all year round….. 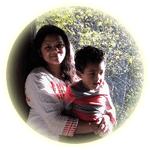 I like the gorgeous red color of cranberry sauce and the way they taste – tangy and sweet. They are awesome as it is. Cranberry sauce is a staple dish during Thanksgiving. But if you buy the canned sauce, you are missing out friends. Make it at home to get the real cranberry flavor. The sauce will become thick as it cools. When I finished cooking, It was like a thick syrup consistency. But when cooled it is almost like a jelly. 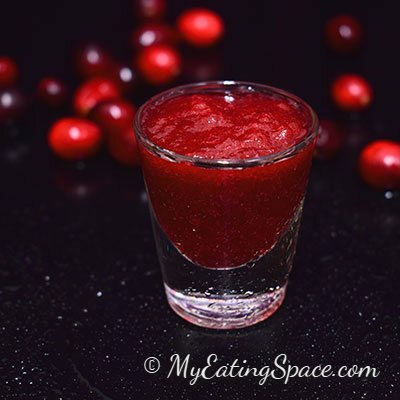 You need just three ingredients to make cranberry sauce at home. 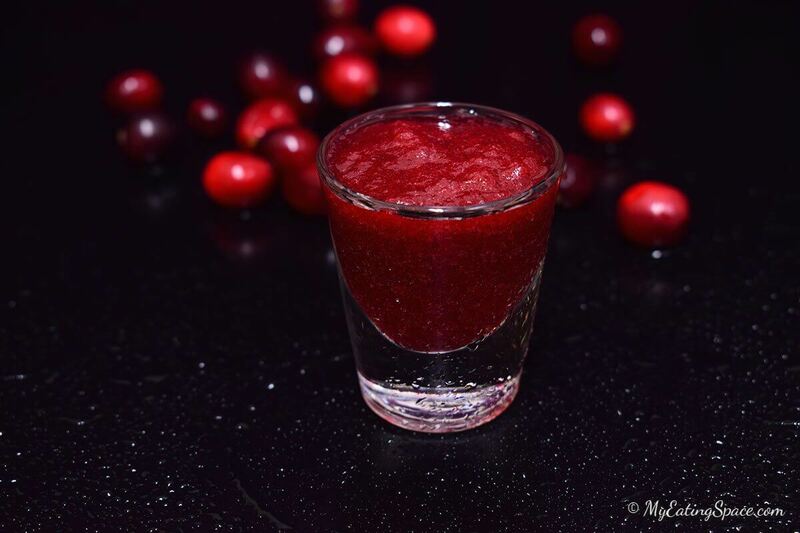 Cranberries, sweetener and a liquid (water or any fruit juice). Cranberry contains lots of pectin. So when cooked, cranberries release the pectin trapping the dissolved sugar molecules which help the sauce to become firm. The sweetener I prefer is sugar which helps to keep the exact cranberry flavor stand out. Adding maple syrup, honey or any other sweetener and even spicing the sauce masks the real cranberry taste. You can always make it ahead and keep refrigerated as it will not spoil. The sugar will act as the best preservative. If cooking with cranberry for the first time, better know this. You will hear them exploding when cooked. Cranberries are full of air. When heated the air inside will expand and will pop open the cranberries. So keep the pan closed with a lid while cooking cranberries. The cranberry sauce is the best and easiest one I have ever made. 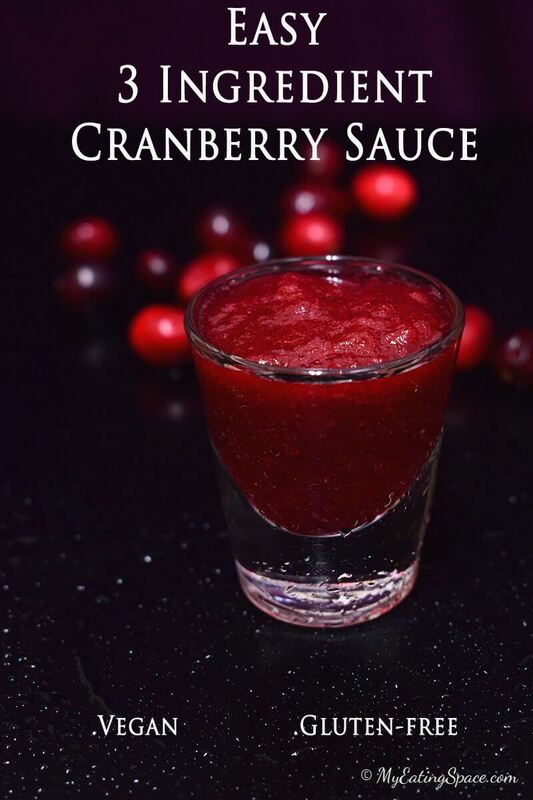 And since summer is coming, I am looking into making more cranberry drinks with this sauce. Make ahead cranberry sauce with real fresh cranberries. This is the easiest sauce you will ever make. Preserve it for all year-round, not just Thanksgiving. Combine cranberries, orange juice and sugar in a sauce pan. Cook on medium heat until the sugar is dissolved and the cranberries start to pop (~10 minutes). Stir occasionally. Cook for 5-10 minutes with occasional stirring to make it more thick. Mash the cranberries with the back of the spoon or a masher. Transfer to an air-tight container. The sauce will keep refrigerated for many days.